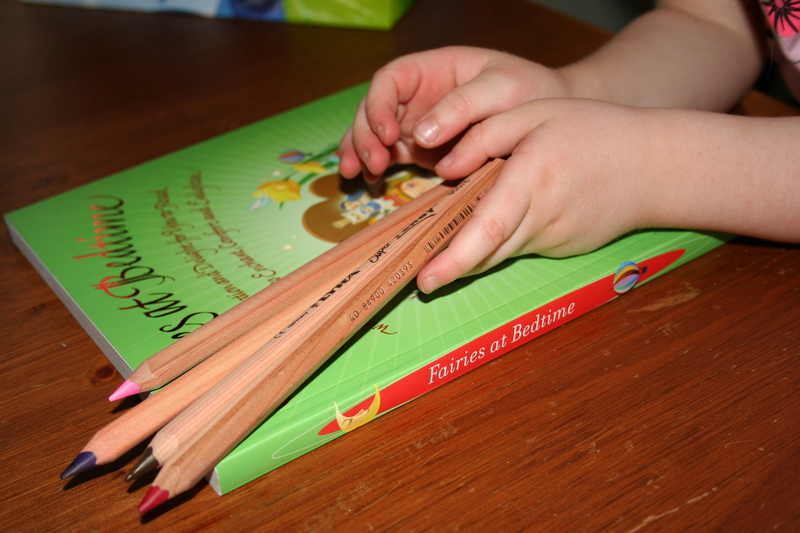 Evie has officially turned five. She has been talking about her birthday forever and what to have as her special birthday supper. In the end she chose cheese pizza and sprinkle cake. 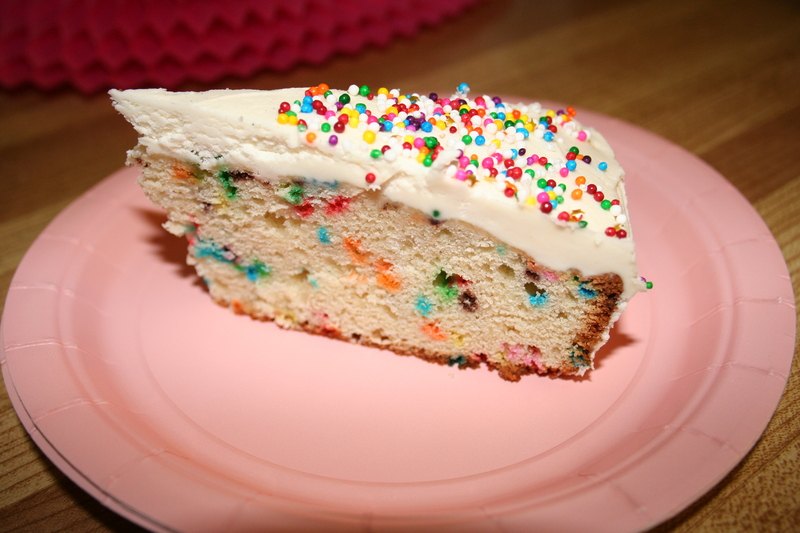 I made Sally’s funfetti cake (www.sallysbakingaddiction.com). Check out her website she has a lot of yummy treats, we follow her religiously for recipes and the delicious pictures, Evie has a whole list of what she wants to make from there, most involve sprinkles. Sally loves sprinkles and I am pretty sure that when Evie is an adult she too will still love sprinkles. The cake turned out great and was even better a day or two after, got a little moister. If I make that cake again, I will definitely do it a day or two ahead of time. 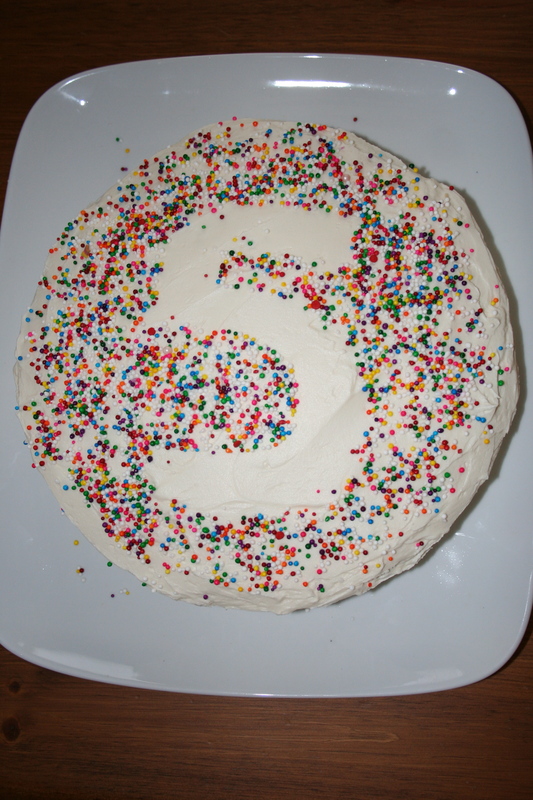 Here is the cake, we covered it nonpareils but left the number 5 un-nonpareiled. Is that even a word? 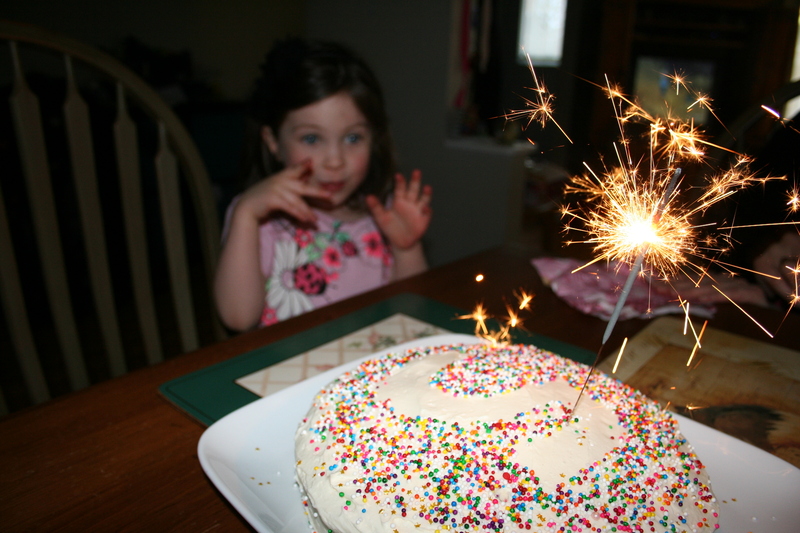 There are even sprinkles inside the cake, double the sprinkle concentration! She got her own binoculars for birdwatching, some new books and more of her favourite coloured pencils to add to her collection. The birthday party with her friends was also a lot of fun. It was at a cooking school and the children, in little chef hats and little aprons made pizza, fruit snacks and decorated cupcakes. Everyone had a great time, it was lots of fun and extremely cute.